The ”Antiaging Profile” (A.A.P.) is a global balance of oxidation stress, i.e. an evaluation of the balance between production of free radicals and antioxidant power. 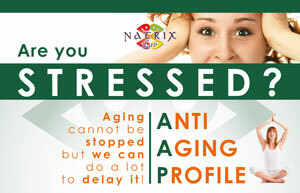 The Antiaging profile includes the Free Radical Test (F.R.T.) 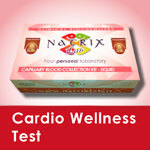 for the dose of free radicals, and the Antioxidant Capacity Test (A.C.T.) to evaluate the antioxidant power. 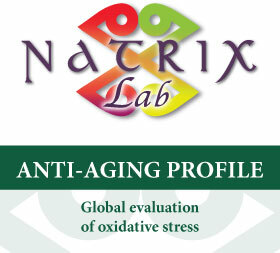 The test is recommended to understand your personal level of aging and health by controlling the level of free radicals in your organism and your antioxidant power: in antiaging terms, braking the balance between the production of free radicals and the antioxidant power is harmful for the health of your organism, which is why we need to know both the antioxidant and the oxidant components. This test is recommended for everybody, not just for certain disorders, to enable evaluating the antioxidant power of your organism. You want to monitor the impact of widespread risk factors on your organism, such as excessive exposure to UV rays, polluting substances, food contaminants. You smoke and drink excessively, or you do not do sufficient exercise. You have been diagnosed with pathologies correlated to oxidation stress, such as rheumatoid arthritis, arteriosclerosis, diabetes, Alzheimer’s disease. 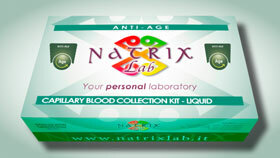 You want to monitor the effect of certain drugs on your organism, such as the pill, cortisones. Once the level of free radicals in your organism has been determined, you should adjust your diet accordingly. 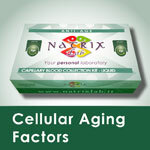 In the case of oxidation stress with an imbalance between the production of free radicals and the antioxidant power, we recommend a healthy, correct diet in order to reduce the increase of certain risk factors that increase oxidation stress, and where necessary supplement your diet with substances that are rich in antioxidants. We recommend repeating the test after 2-3 months. To monitor treatment or a pathology, we recommend repeating the test according to your doctor’s instructions. Favier A. Oxidative stress in human diseases. Ann Pharm Fr. 2006; 64(6): 390-396. Iorio EL. 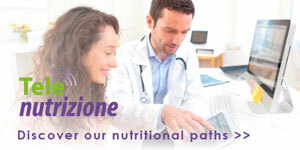 New diagnostic tools to evaluate oxidative bilance in the clinical practice. International Observatory of Oxidative Stress, Salerno, Italy. Briganti S; Picaro M. Antioxidant activity, lipid peroxidation and skin diseases. What’s new. J Eur Acad Dermatol Venereol. 2003; 17(6): 663-669.